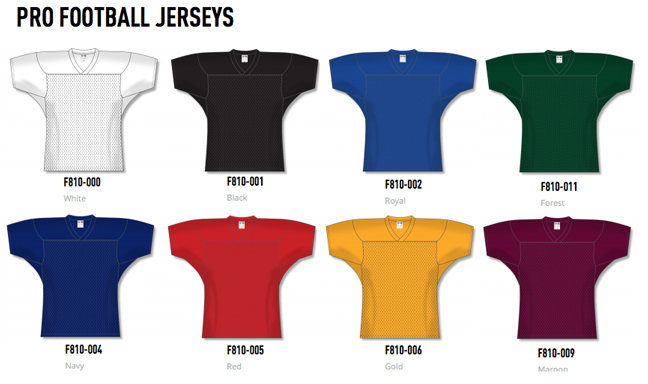 Football Jerseys by Athletic Knit, JERSEYS UNLIMITED offers blank football and custom jerseys for teams, organizations, schools, and camps with same day shipping for those last minute team orders. 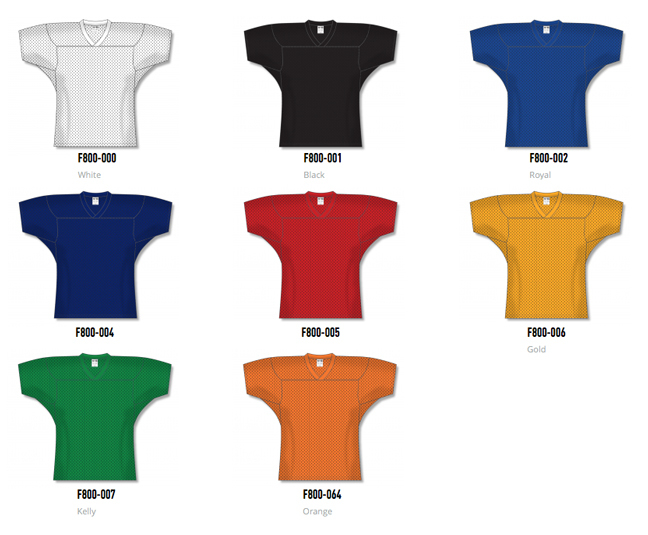 Durastar Mesh, Ak-sheen, Crossover V-neck, Gussets, In-stock Football Jersey. All Football Jerseys in-stock for those last minute orders! 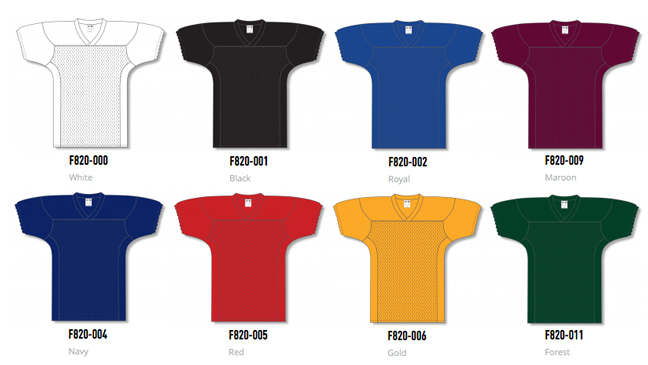 Durastar Mesh, Ak-sheen, Spandex, Crossover V-neck, Gussets, In-stock Football Jersey. Superstar Mesh, Crossover V-neck, Gussets, In-stock Football Jersey. All Football Pants in-stock for those last minute orders!